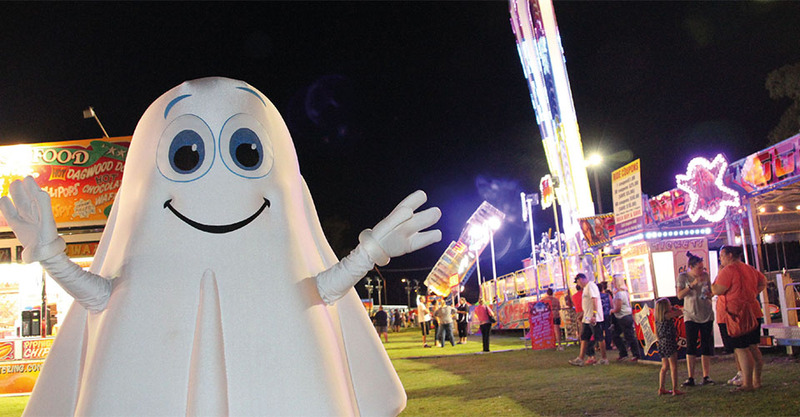 Every November over 10 days, Campbelltown transforms itself into a hub of events and activities for all ages during the Festival of Fisher’s Ghost. It’s all in honour of Frederick Fisher, Australia’s most famous ghost and is steeped in history, dating back to 1956. Since then it has grown ten-fold with more and more events being added each year. This year, from 4 November until 13 November 2016, the packed program features everything from the much-loved vibrant Street Parade and outdoor cinema to the giant carnival. Events are geared towards the whole community and the majority are completely FREE! We’ve trawled through the program which is positively bursting with fun and new experiences to bring you our must-see Festival of Fisher’s Ghost events and activities of 2016. 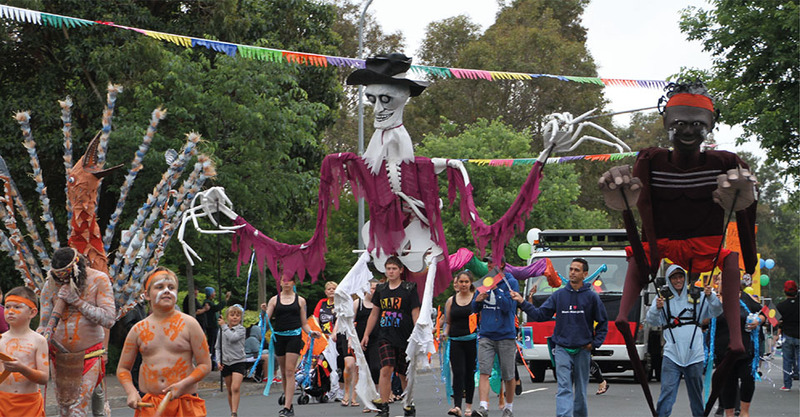 A highlight each year is the Street Parade. It marks the opening of the festival with an electric atmosphere and vibrant colours. The parade travel south down Queen Street and brings together the community to celebrate spirit and diversity. Everyone is encouraged to dress up and get involved. 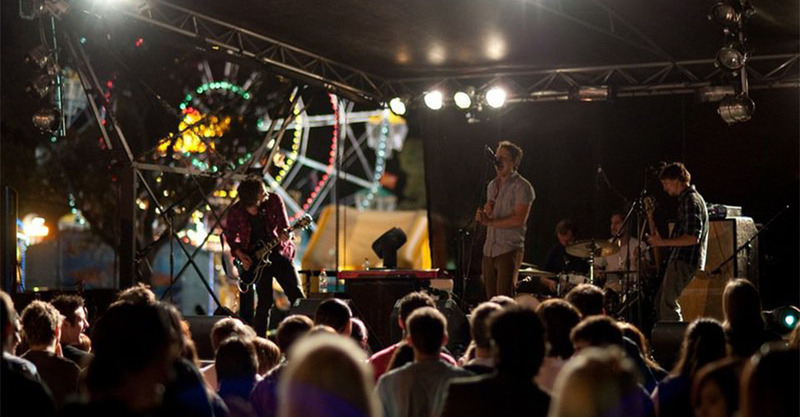 Fisher’s Gig is Campbelltown’s annual youth music festival and has rightly earned a reputation for launching young music careers. This year promises to be bigger and better than ever with a larger stage and a non-stop music line-up. Ocean Alley, a psychedelic Reggae fusion will head the line up this year. Other acts include indie band, The VANNS, home grown talent, Camden punk rock band Blank Display, and lots of other hand-picked local bands. The evening culminates in spectacular fashion with a fireworks display at 9pm. Note, this is an alcohol-free event. 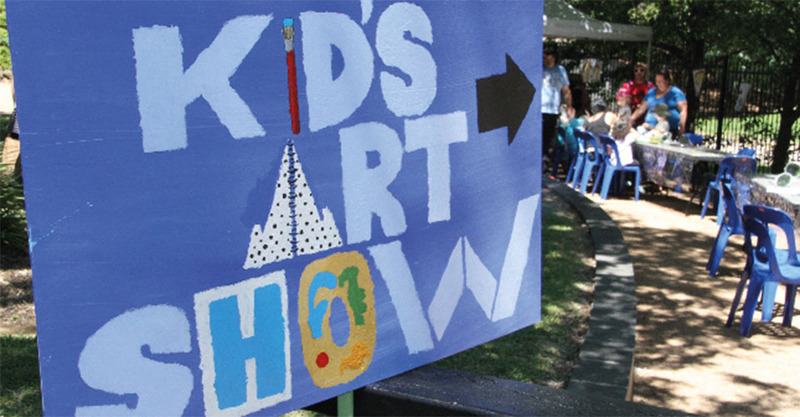 Take your artistic, creative kids along to the fantastic hands-on workshops and activities planned for Fisher’s Kids at Campbelltown Arts Centre. This year’s fun is inspired by the theme, Electric Nature. Expect huge colourful clouds, plant-powered night lights, a hand puppet DJ, painting in the Japanese garden and more! Recommended for 5-17yrs. Get ready for an evening of ghosts and zombies (family-friendly ones of course!) in this one-night-only outdoor cinema. There will be a double-feature showing of Monster House (recommended age 8yrs+) and Beetlejuice (recommended age 10yrs+). 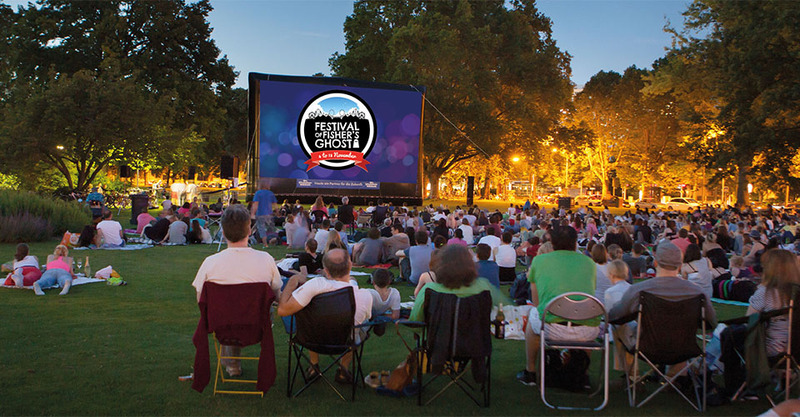 Movie-goers are encouraged to get into the spirit of this year’s festival theme, Ghosts, Ghouls and Graveyards, by dressing up and visiting the Ghosts and Ghouls Glamour face painting booth on the night. Refreshments will be available for purchase, but bring your own chairs and picnic blankets to comfortably enjoy the outdoor cinema. 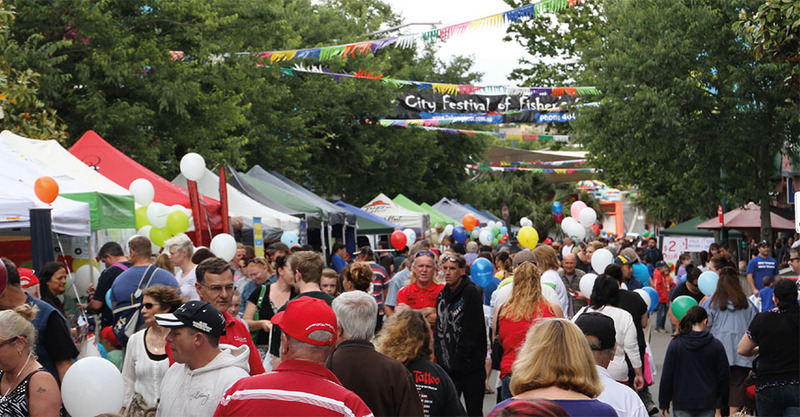 From artisan market stalls and pop-up tasty food outlets to talented performers entertaining the crowd throughout the day, this year’s Festival of Fisher’s Ghost Street Fair promises to be one of the highlights of the festival with something for the whole family. Mawson Park will have a dedicated Family Zone with great kids-focused live shows and activities. Live action, amazing tricks, plus free music, BBQ and giveaways. 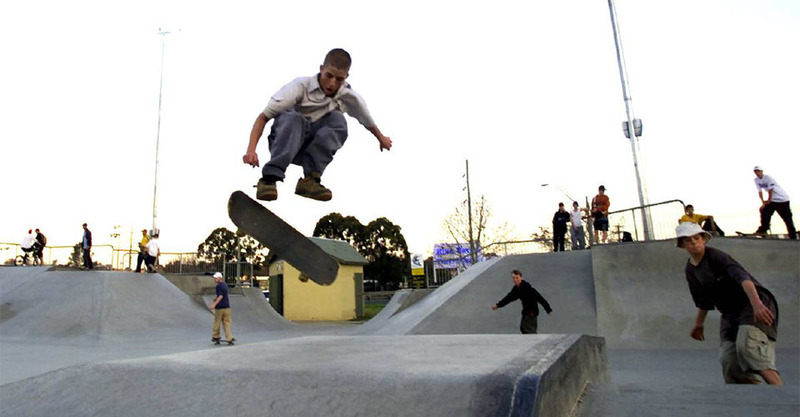 It’s all happening at Fisher’s Extreme Showcase, a skate, scooter and BMX event at Campbelltown Skate Park. Sponsored riders will show off their skills and share their tips. Don’t miss the open jam session, free sausage sizzle and lots of prizes up for grabs. 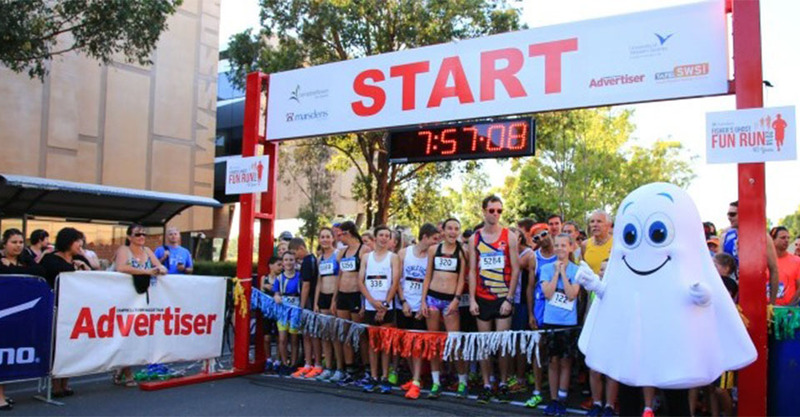 Marsden’s Law Group Fun Run welcomes all ages and abilities to join the 5km (minimum age 8yrs) and 10km (minimum age 12yrs). Walkers are just as welcome as runners! So grab your sneakers and set off with the family for a morning of fun! It’s the festival finale; the Fisher’s Ghost Carnival. Spread over two weekends, this event offers unforgettable family fun at the fair with rides, sideshows, food, entertainment and more. Read all about our roving explorer Gemma’s fun at the fair last year Read all about our roving explorer Gemma’s fun at the fair last year. The 2016 Festival of Fisher’s Ghost runs from 4th until 13th November. For more information on the program of events see our event page or visit the Festival of Fisher’s Ghost website.